I Wanted to Give This Course Away… But Mrs. LeVitus Won’t Let Me! But… as good as I think the Working Smarter for Mac Users—Improve Your Efficiency course is, it's only Part I of a three-part solution. I didn't plan to release Working Smarter for Mac Users—Improve Your Efficiency as a standalone course. In my mind, the course was always going to cover all three parts of the book. 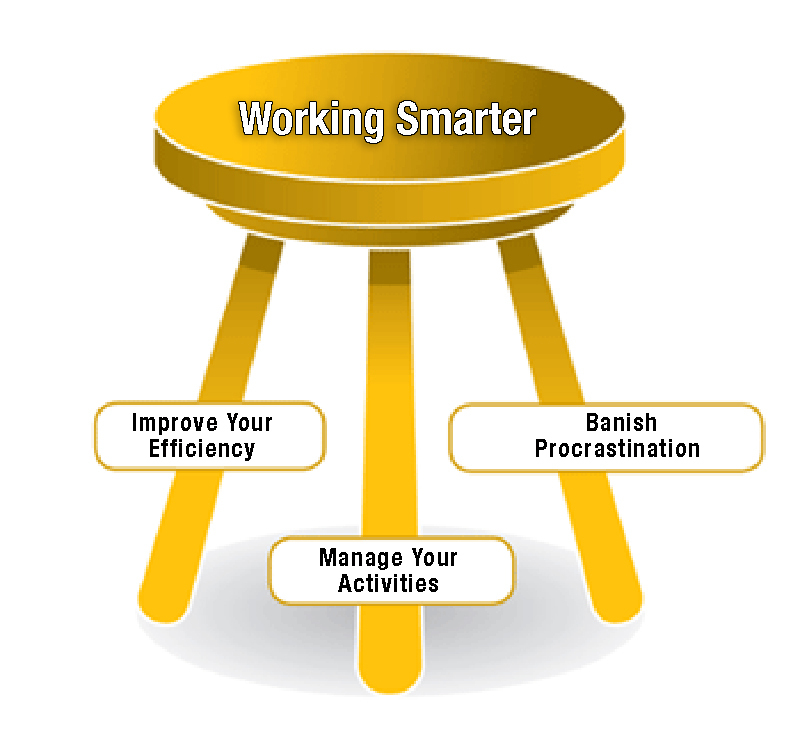 It may help to think of Working Smarter as a three-legged stool: If you remove one leg, it’s not a stool anymore, it’s just firewood. So, now I feel bad for offering only part of the solution... But the toothpaste is out of the tube—more than a hundred and fifty Mac users have enrolled in the course already. And, for what it's worth, nobody has complained yet. But I feel bad. And I wanted to come clean with y'all. And last but not least, I wanted to turn lemons into lemonade. So, I was going to turn my misstep into a marketing opportunity by giving the course away for free until the rest of the course is ready in early 2018. But when I told my wife of 34 years (and my only business partner), she blew a gasket. She said, "After all the work you put into that course, you can't depreciate its value by giving it away for free!" I argued that giving it away would introduce hundreds, or even thousands of new Mac users to Working Smarter, and that if they liked Part I, they'd be likely to buy Parts II and III when they're done. She countered that would be like burning up hundreds or even thousands of dollars for no good reason. I know the secret to a happy life is having a happy wife, so I asked her what I should do and she said, "Don't give it away, just sell it at a big enough discount to attract hundreds or thousands of users. That way everyone wins." Get the course for $19.99 now! She's damn smart, my wife. So that's just what I'm going to do. From now until Parts II and III of the course are finished, I'm reducing the price by 80%, meaning you can enroll for just $19.99 and save a whopping $80. But wait—there's more! By taking the Working Smarter for Mac Users—Improve Your Efficiency course now you'll be among the first to know when Parts II and III become available and I guarantee you the lowest price I'll offer to anyone, ever. All you have to do is enroll in Part I before January 1, 2018. Just don't wait too long. This offer will expire as soon as I finish Parts II and III or on January 1, 2018, whichever comes first. After that the price will be at least $99 for each of the three modules. Please use the Share button below to Share this deal with your friends and family. My wife and I thank you very much!